Wayne Goss The Face Set 2017 Now Available! | Top Beauty Blog in the Philippines covering Makeup Reviews, Swatches, Skincare and More! Wayne Goss The Face Set 2017 Now Available! 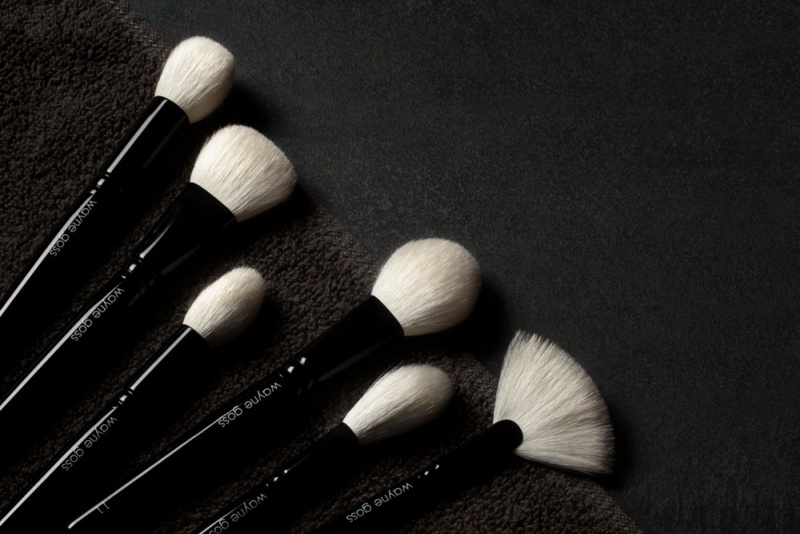 Experience how easy it can be to achieve flawless face makeup with The Face Set, a collection of six brushes created by makeup artist Wayne Goss. Updated with white bristles and redesigned shapes, The Face Set gives you the power to perfect any technique with any product — from primer to powder and everything in between. What’s the difference between this set and the old Face Set? The new Face Set features softer, undyed white bristles and refined brush shapes. Brush 10 has been completely redesigned with a more versatile silhouette. Brushes 11, 12, 13, 14, and 15 are slightly denser. What’s so special about the white bristles? The new white bristles are made from undyed, unbleached goat hair, which has a softer, more lightweight feel. Can I buy these brushes individually? The new Brushes 10, 11, 12, 13, 14, and 15 are only available with The Face Set at this time. Brush 10 - Inspired by the best-selling Brush 02, this brush’s tapered tip makes highlighting and bronzing with creams, liquids, and powders easier than ever before. Brush 11 - Transform your skin into smooth, poreless perfection with this fluffy brush—Wayne’s go-to for his popular buffing technique. Brush 12 - Take the guesswork out of sculpting and shaping the curves of your face with this brush’s unique angled shape. Brush 13 - From foundation to setting powder, Brush 13 truly does it all. Use it to buff liquid foundation into the skin for a flawless, airbrushed finish. Brush 14 - Add a sheer wash of color with this brush’s feather-light bristles. It gently sweeps on pigmented blushes for a subtle, barely-there flush. Brush 15 - Precise powdering, hairline contouring, and draping with blush are just a few of the techniques you’ll master with this fan brush. Great! Have a great weekend! !